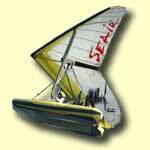 Seair Technologies, Inc.'s first product is the Seair Flying Boat. It has been in production for over a year, and has been featured in television and magazines. This page contains our multimedia galleries. For more detailed information on the Flying Boat, you can read the brochure and FAQ page, or the Details/Specifications page. If you need more information you can contact us. 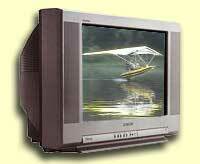 multimedia on the Flying Boat. Click one of the links below in order to see each Gallery. 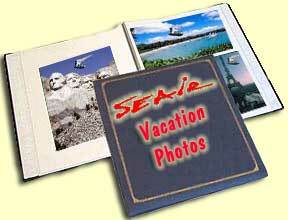 The Photo Gallery features pictures of the Seair Flying Boat. The index page takes a while to load, but from the index you can load low resolution or high resolution pictures. Feel free to download these and distribute them, but if you use them for publication, please check with us first. The Seair Video gallery currently has four short videos, including one 'nose-camera' video. The new nose-cam video doesn't include sound, but it gives you a great idea of what it's like to take off and fly in a Seair Flying Boat. We currently offer videos in Windows Media format, or Real Media format. If you need a video player, check out the tools below. 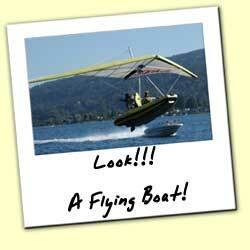 This is a collection of silly photos featuring the flying boat. This is what happens when the web master is too tired for real work, and has too much fun with Photoshop! This feature uses the latest Macromedia Flash Player for a small animation at the bottom of the page. If you need to download this, check out the tools below. you may not have on your computer. If you do not have the Windows Media player, click on the logo to download one for free. We recommend this player because it has the best quality of streaming video. latest Flash Player. Download it by clicking on the logo. Copyright 2003, Seair Technologies, Inc.